Have a question for Drawing Stars Pension? For travelers who want to take in the sights and sounds of Pyeongchang-gun, Drawing Stars Pension is the perfect choice. Only away, this 2-star hotel can be easily accessed from the airport. With its convenient location, the hotel offers easy access to the city's must-see destinations. At Drawing Stars Pension, the excellent service and superior facilities make for an unforgettable stay. Guests of the hotel can enjoy on-site features like free Wi-Fi in all rooms, Wi-Fi in public areas, car park, BBQ facilities, smoking area. In addition, all guestrooms feature a variety of comforts. Many rooms even provide internet access – wireless (complimentary), non smoking rooms, heating, desk, internet access – LAN to please the most discerning guest. Besides, the hotel's host of recreational offerings ensures you have plenty to do during your stay. 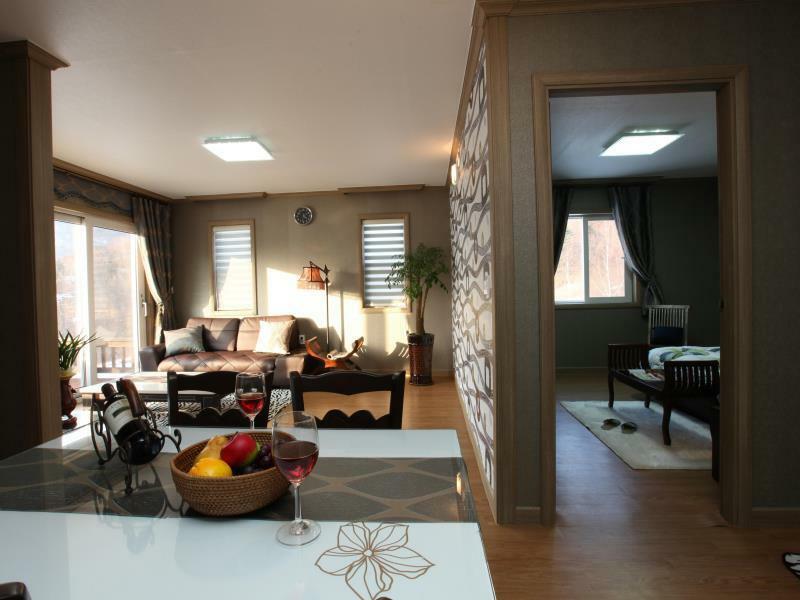 Drawing Stars Pension is an ideal place of stay for travelers seeking charm, comfort and convenience in Pyeongchang-gun. Room was clean and with a great view.This hotel is good for those who have a vehicle,if not,better be prepared to enjoy your time in hotel.It costs 13000 won from bus terminial taxi to the hotel ,and costs more to nearby attractions.30mins Walking from hotel to the main road.